Omlettes or Waffles, Savory or sweet. Our 3 egg Omelettes are made fresh and you can choose from freshly chopped onions, ham, cheese, green peppers, salsa and sour cream. Our Waffle bar will satisfy every carb craving and sweet tooth you can throw at it! Perhaps opt for traditional with Maple and blueberry syrups. Or try some decadent options like chocolate, caramel or peanut butter Syrup. Then go for the mother load and garnish with nuts, chocolate chips, coconut, and sprinkles. Because, life is just too short not to use sprinkles! 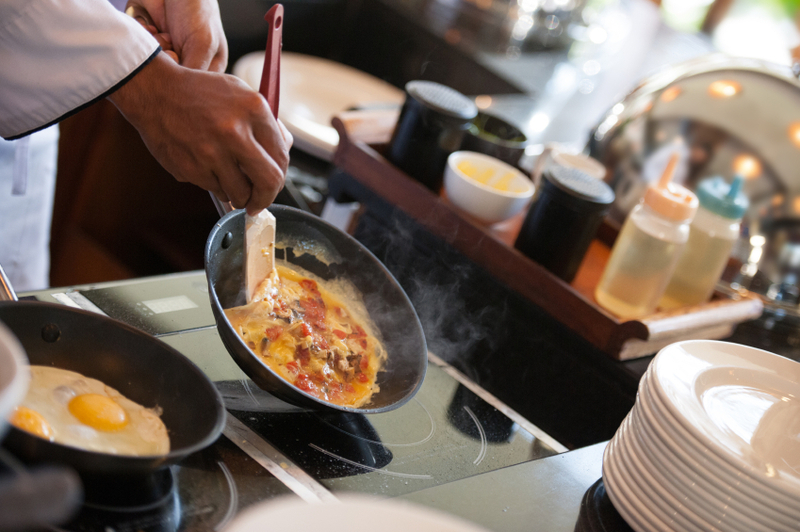 ENJOY A GENEROUS FRESHLY MADE 3 EGG OMELETT, OR PERHAPS INDULGE YOUR SWEET TOOTH WITH A VANILLA OR CHOCOLATE WAFFLE WITH ENDLESS TOPPINGS AT OUR WAFFLE BAR. YOUR KIDS and "the kid in you"
Our welcome is warmer than ever, come enjoy a decadent hot cocoa, tea, or decaf coffee, made to your liking with a wide selection of torani syrups, whipped cream and yummy toppings! just one more way to top off your stay!